Witness the dazzling skills of the world’s best basketball players in the flesh as Orlando Magic take on the their rivals from the NBA. One of the USA's biggest sports, basketball has produced worldwide stars such as LeBron James, Shaquille O'Neal and Michael Jordan, and seeing a game in the flesh is an incredible experience. From slam dunks, high octane tricks and spectacular three pointers on the court, through to cheerleaders, a half-time entertainment show and more, taking place off it, the action never stops. What's more, the arena boasts a multitude of bars, restaurants, fan experiences and activities - kids will love Stuff's Magic Castle! - making for a perfect, family-friendly environment. So if you happen to be in Orlando when there's a game on, don't miss out on this quintessential slice of Americana. Promenade Level tickets (Upper Bowl) - located in Promenade B. These great value tickets are located in rows 8-16 of the upper bowl. As well as providing a full arena view, the seats allow easy access to the Ozone bar and Stuff’s Magic Castle. Terrace Level B (Lower Bowl) - located in the corner sections of the arena's Lower Bowl, these seats boast great corner views of the court and allow access to the terrace level amenities. Seating selections will be located in sections 103, 108, 112 and 117. Terrace Level C (Lower Bowl) - located in the sections of the Lower Bowl these seats offer great views from behind the baskets and allow access to the terrace level amenities. Seating selections will be located in sections 118, 101, 102, 109-111 and 109A – 111A. Club Level tickets - Located on the private Club level of the arena, guests can enjoy sideline views, while sitting in spacious leather back seats. The club level features multiple luxurious lounge spaces and bars, in addition to higher-end concessions options. Seating selections will be located in sections Club A-B and E-F. Ultimate Seating offers an incredible sideline view which will let you experience the action like nowhere else. Your seats are located in the first seven rows of the Lower Bowl and also include access to the Fields Ultimate Lounge before, during and after the game. Here you can enjoy all-inclusive food and beverages (beer, wine, soda) from an hour and a half before the game. Ultimate Ticket holders may also enter the stadium via a VIP entrance. Seating selections will be located in sections 104-107 or 113-116 within the first 7 rows. Games last approximately three hours. Your tickets will be emailed to you before you depart for Orlando so there is no need to queue up at the stadium. You will need to make your own way to the arena. 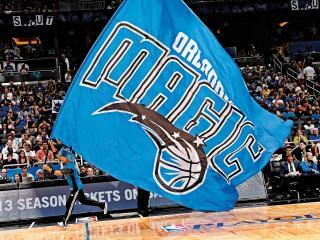 If you don't have your own transportation in Orlando please see our Orlando Magic Basketball with Transfers ticket option.